Tomorrow, I’ll be marching for science. Above all, I’ll be marching for truth. The March for Science takes place in Washington, D.C., on Saturday with satellite marches across the country, including four in Maine. We will be marching for science, and most of us will be marching for the environment, too, because that day is also the 47th anniversary of Earth Day. Along with my fellow scientists, I have worried deeply about the election and its aftermath when “alternative facts” have become the “phrase du jour.” Objective truth is such a holy grail for scientists that it has long been difficult for us to accept the language and process of politics. However, with the sowing of seeds of doubt around scientific consensus, we can no longer be silent and marching can make a difference. Americans marching for the first Earth Day generated an environmental movement, based on science, that led to major conservation laws, including the Endangered Species Act in 1973. The Endangered Species Act puts the best available science into action for wildlife. For example, science-based management has allowed the bald eagle to soar from a population of about 400 pairs nesting in the contiguous United States in 1963 to over 10,000 in 2007, the year they were removed from the endangered species list. In many respects Maine led the way with our bald eagles increasing from a low of 21 nesting pairs to more than 700 today. Attempts to weaken the Endangered Species Act are underway, but they run counter to scientific and economic wisdom. Notably Maine relies heavily on tourism dollars to boost our economy and much of that is linked to wildlife: roughly $1.4 billion, according to a 2011 survey of people (both Mainers and visitors) who fish, hunt or just enjoy watching wildlife like our whales, three species of which have received protection under the Endangered Species Act. As we march for science and above all truth our representatives in Congress are simultaneously hatching plans, behind closed doors, to weaken the role, the primacy of science in our laws. As the funding for the federal government runs out on April 28, our representatives are in discussion about the next spending package, and many of the proposals on the table are a direct affront to science. 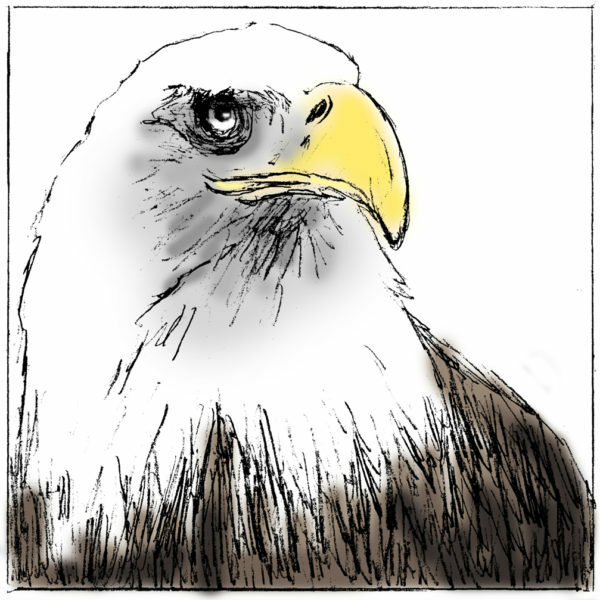 High among the targets of science-based conservation laws is the Endangered Species Act. We, scientists, are often solitary creatures, but on April 22 we speak in a united voice. We call on our congressional representatives to stand against the attack on science. Maine Sens. Susan Collins and Angus King have often been willing to be voices in the wilderness. We need them more than ever to be the champions of science. All of us — politicians, scientists and everyone else — must strive for enlightened, open, honest discourse in all interactions. It is especially important to provide models for our impressionable young people. Imagine the consequences of widely embracing a culture where truth and science no longer matter, where a bedrock conservation law can be stripped of the best available science for political ends. We can do better. Malcolm Hunter is the Libra Professor of Conservation Biology in the Department of Wildlife, Fisheries, and Conservation Biology at the University of Maine.